We have been on a cold sandwich kick and this CopyCat Starbucks Egg Salad Sandwich Recipe was perfect. Cold sandwiches are one of our big menu items in the spring and summer. Having quick cold items to enjoy for meals is a MUST around here. There are many evenings and lunches on the weekends that we just do not have time to cook a hot meal. I tend to keep many cold cuts in our fridge and also some salad type sandwich ingredients to make quick and easy meals. I shared my new favorite at home CopyCat Panera Bread Tuna Salad Sandwich with you just the other day. It has been a hit with all of us. We look forward to enjoying the recipe all spring and summer long. Last summer I had dropped by a full service Starbucks and really enjoyed the Starbucks Egg Salad Sandwich. There was just something about it that I really liked. 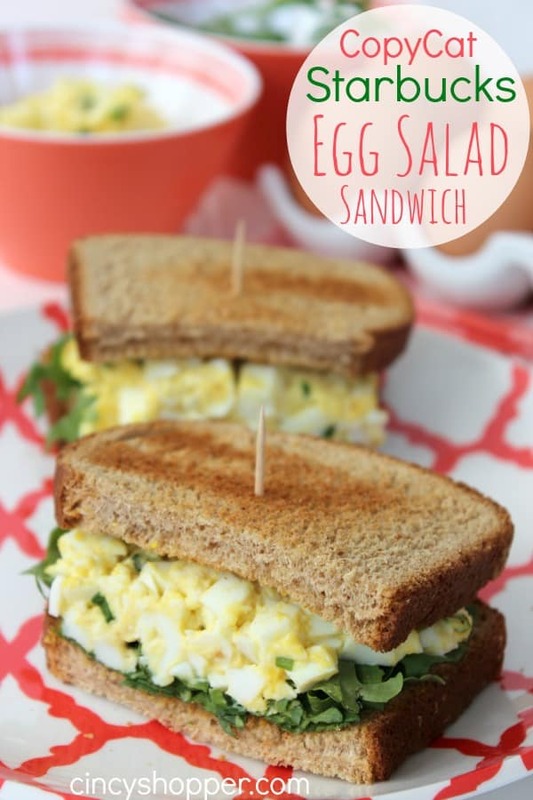 My hubby did so good with replicating the Panera Bread Sandwich, I asked him to see if he could come up with a great CopyCat Starbucks Egg Salad Sandwich too! As per the usual, he did not let me down, ha ha. 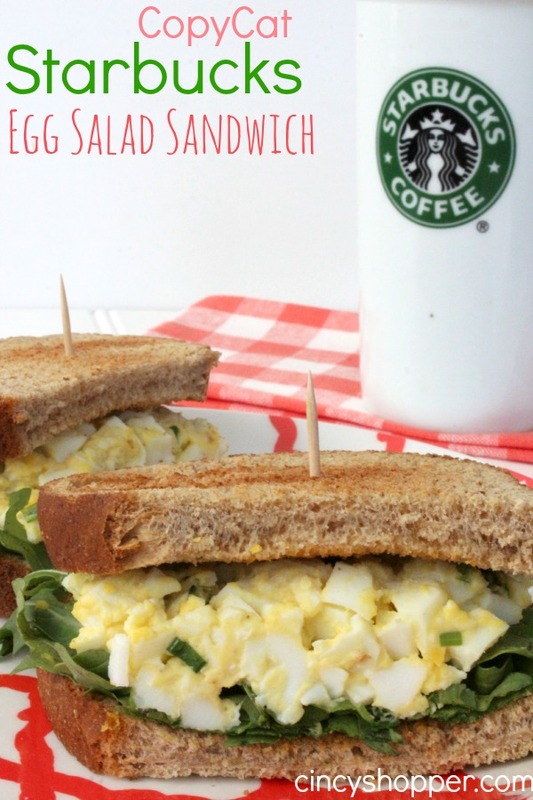 This CopyCat Starbucks Egg Salad Sandwich was right on. This recipe is so simple but yet it is so tasty. 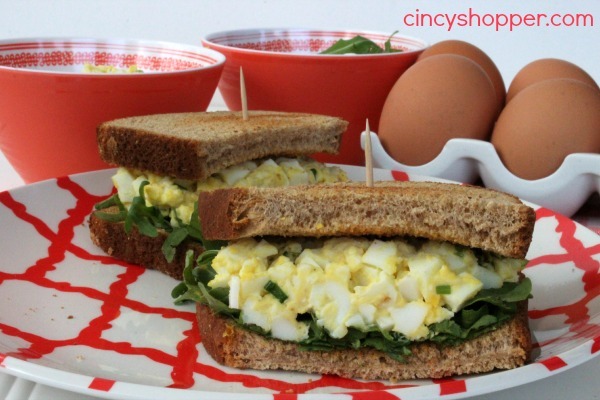 Making a CopyCat Starbucks Egg Salad Sandwich at home really helps stretch the budget. The ingredients are so simple. After Easter we always have left over hard boiled eggs. I see us making this recipe a few times to use up the Easter eggs before they go bad. I will quite often splurge on pre-boiled eggs from the deli area at Krogers for some of my dishes. Or sometimes I buy a few to make quick and easy meals from the salad bar too. If you are in a pinch and need a quick and easy lunch or dinner I have found that buying pre-cooked saves me time and mess. 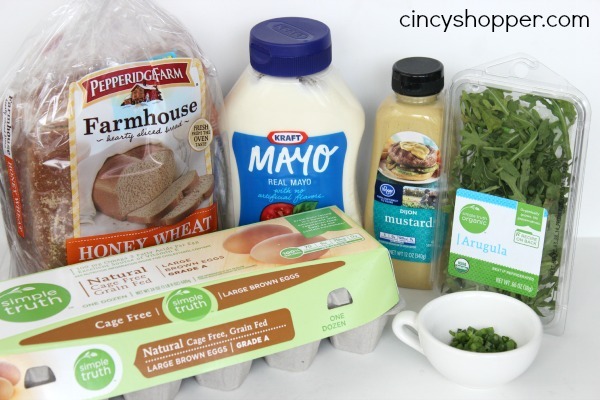 I see myself purchasing more this spring and summer so we have some quick and easy meals. Looking for some other great Starbucks CopyCat Recipes? If so be sure to check out my CopyCat Starbucks Passion Tea Lemonade and also my Starbucks CopyCat Lemon Loaf. You can enjoy Starbucks at home and save quite a few $$’s with these great Starbucks Recipes. Awesome!! Small town USA. I have been to these places, but it’s nice to use your recipes to take to our church lunches. I love to see their expressions when I can bring something new to share. Example: Chick- Filet and Pinera. Hope you can keep sharing. PAM. 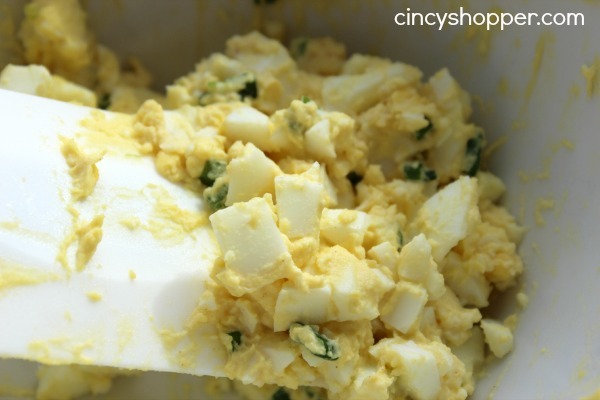 I love egg salad sandwich and now I feel like making me one! Thanks for the recipe Jen. Pinned it.